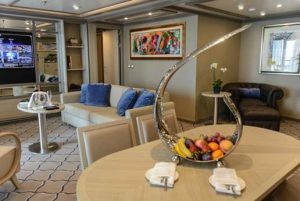 Let’s face it: Many guests who vacation on cruise lines like to lift a pint or have a drink or cocktail while escaping the rushing, worried world. But the days of bringing your own on board or stocking up in a foreign port have changed over the years, mostly for the safety of the guests themselves. Yes, people are still trying to get that vodka on by putting it in a mouthwash container and coloring it with blue food dye, but the cruise lines are onto that trick. And while there are many myths and misperceptions about cruising in general, there are any number about drinking on a ship. Order a Bottle/Save it For Later. On many cruise lines, you can order a bottle of wine at dinner, and if you don’t finish it, have the wine steward save it for another evening. Check with your cruise line for specific rules and fees, but this is a great way to save money for light drinkers, rather than purchasing everything by the glass. Plan on Throwing Back a Few? Invest in a Beverage Package. Beverage packages vary, so make sure you purchase one that fits your needs. 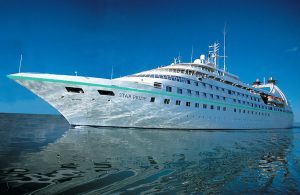 At Windstar, for example, our packages are now available on a per-guest basis rather than a per-cabin basis (so if one person drinks and the other does not, you only pay for the one package). We also are adjusting our packages to accommodate those who just drink wine and those who would like a more comprehensive beverage option with liquor, beer, and wine. It’s all about options, so make sure your cruise’s beverage package matches your preferences and you’re not paying for what you don’t want to sip and savor. Buy the Beverage Package Before You Get on Board. As a rule, there is no savings gained by purchasing your beverage package once onboard. In fact, sometimes it can be cheaper or even included in a special cruise rate in advance. This is really about psychology. Throwing down $10,000 to book your vacation? It’s not that big a deal to add an extra $300 to your bill for the beverage package and just be done with it. If you wait and purchase the beverage package months (or even years) later when you’re actually on your cruise, that $300 on its own suddenly seems like an unnecessary luxury. Do yourself a vacation favor and just buy it early and enjoy. Consider a Themed Cruise. Really into wine? Consider a designated wine cruise. (There are beer- and tequila-themed cruises, too – options abound.) At Windstar, we have an incredible food- and wine-themed voyage through France, Spain, and Portugal, which includes a variety of expert-led wine tastings and an evening in a private chateau in Bordeaux included in the cruise price. Don’t Be Afraid to Buy Alcohol in Port, but Don’t Expect to Consume It on Board. I love visiting local wine shops and bringing home special souvenirs for friends and family. But all alcohol purchased at ports of call along your cruise route will be kept by the ship’s crew and delivered to your room the last evening of the voyage. You’ll just have to wait to pop the cork when you get home, and remember your journey with each glass. Filled Under Advice, Blog, cruisenews, gallery, News, What's New?